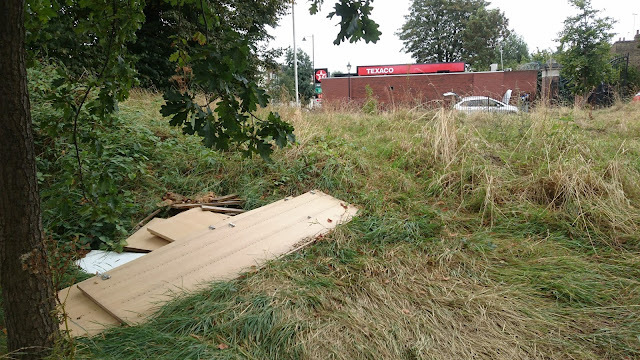 This dumped rubbish was reported over a month ago, but will it still be there on Sunday? This Sunday is our monthly litter-pick of Mile End Park. We meet at 10am by the Art Pavilion (behind the Grove Road Texaco Garage) and stroll around the park for an hour or so picking up litter as we go. We then go for a coffee and cake in the Coffee Room. Be great if you could pop along. It is quite sociable and good exercise!